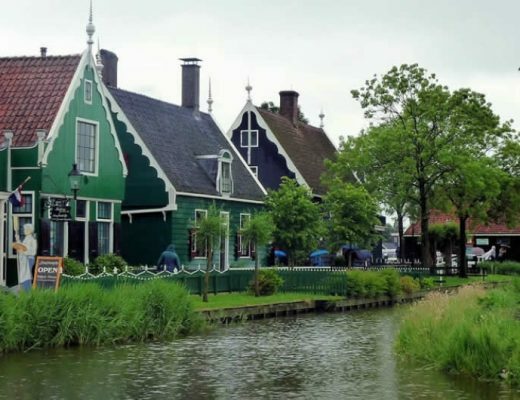 The Netherlands are small and quite densely populated. But for a relatively small country, it has a very rich variety of nature. 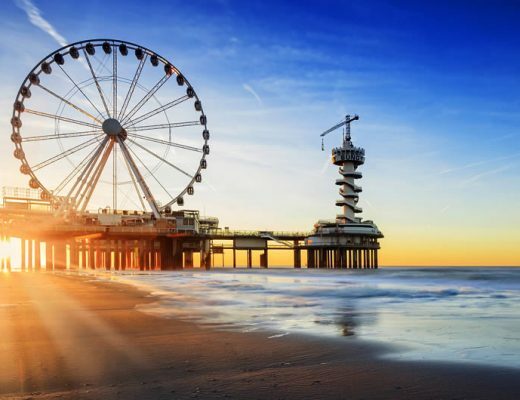 The beaches of Zeeland, the rolling hills of Limburg, the variety in Hoge Veluwe national park and freshwater delta of Bieschbosch are exquisite. Personally, I can’t stay away from nature when heather fields are in full bloom and large parts of The Netherlands turn a deep shade of purple. 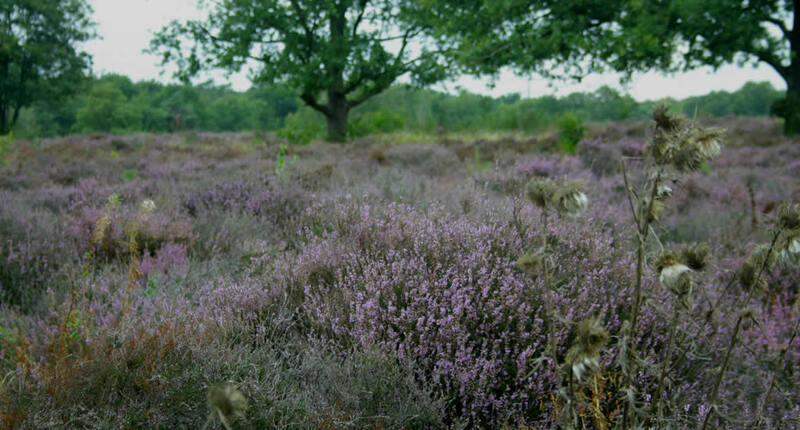 Walk with me in a sea of purple at Hoorneboegse Heide, near Hilversum. I am a city girl at heart (which may have occurred to you, if you’ve been reading this blog), but that doesn’t mean I don’t appreciate some happy little trees (yes, that’s Bob Ross for you) and shrubs every now and then. Even city girls need to clear their heads every now and then, right? 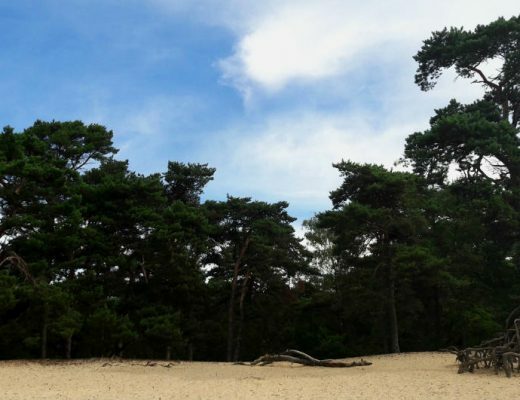 Last year I visited the sand dunes at Beerschoten estate and forlorn Soestdijk Palace to take a break from work. This week I decided that I simply had to go see a man about some heather. From early August on a large part of The Netherlands turn a deep shade of purple once the heather plants start blooming. I think it can easily be compared to the blooming lavender fields of Provence, it’s that pretty. 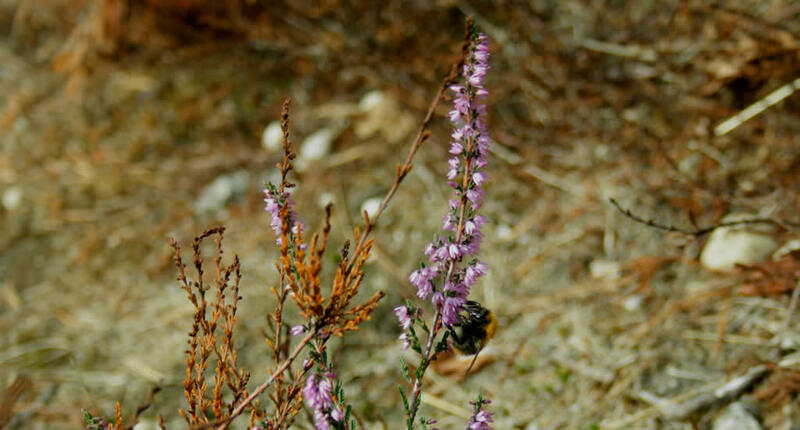 Every year, many people are waiting anxiously for the heather to bloom in August. As a large part of The Netherlands is covered in moorland, the spectacular blooming heather can be seen in many places: near the coast, in forested areas and in sandy areas. 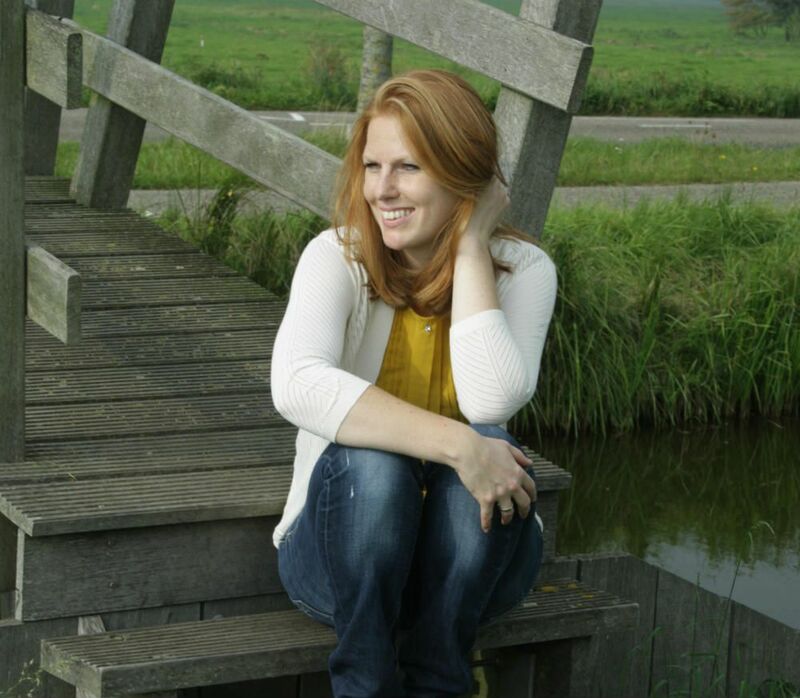 You probably never realised heather was so Dutch. 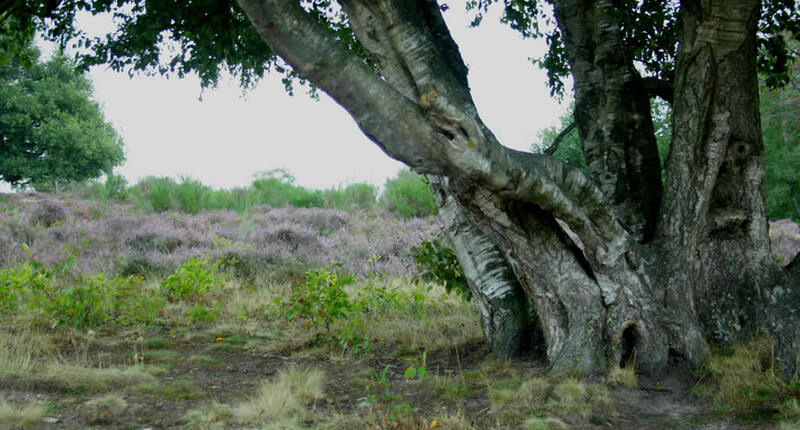 Though I think the moorlands are one of 15 reasons to come to The Netherlands in autumn. Though this year, seeing Holland’s heather fields in bloom has proven to be quite the challenge, as our summer was dry, dryer, dryest. 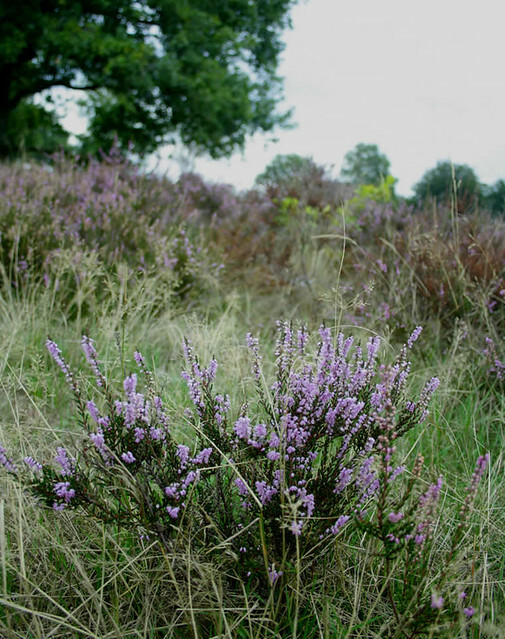 Hardly any rain fell in June, July and August causing the majority of heather plants to die. 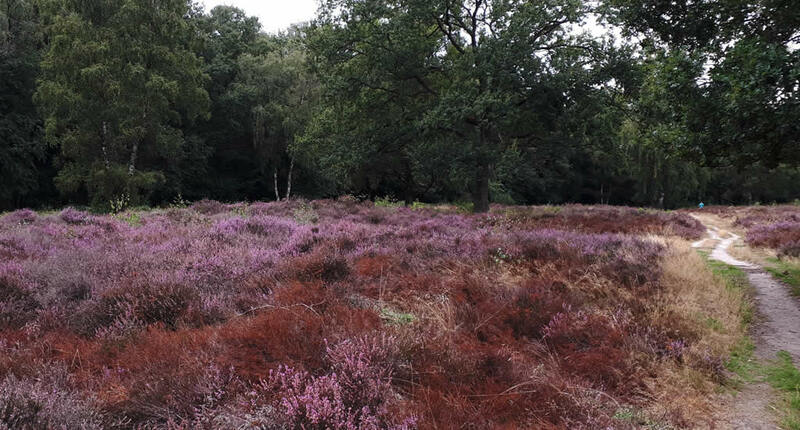 Since I’m a big sucker for pretty heather fields and decided to take a chance and drive to nearby Hilversum to see if the moorlands defied the draughts of last summer. I ended up on Hoorneboegse Heide and even though a lot of plants had suffered, I was in for quite a surprise. Hoornboegse Heide qualifies as ancient, or so I think. Not too long ago burial mounds from the Stone age, Bronze age and Iron age were found. Though in all honesty, not much is visible during your hike on the moorlands. Heather needs quite sandy soil to flourish, that’s why you’ll even be able to see heather fields in coastal areas in Holland, though Hoorneboeg is also quite sandy and the landscape is slightly sloping. Cows and sheep graze the fields to naturally maintain them, though I didn’t encounter any on my walk (sadly, as especially the oxes are quite pretty). Actually, I hardly encountered anyone or anything during my stroll. Some lonely dog walkers or cyclists, and that’s it. It was just me, some bees and butterflies. The heather fields only suffered from the draught here and there, and I felt lucky to be enveloped in a deep deep purple blanket. The heather fields bloom from half of August until half of September. 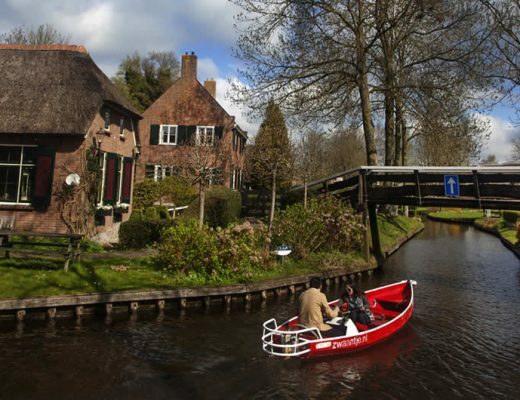 It’s easy to visit Hilversum and Hoorneboegse Heide from either Utrecht or Amsterdam. 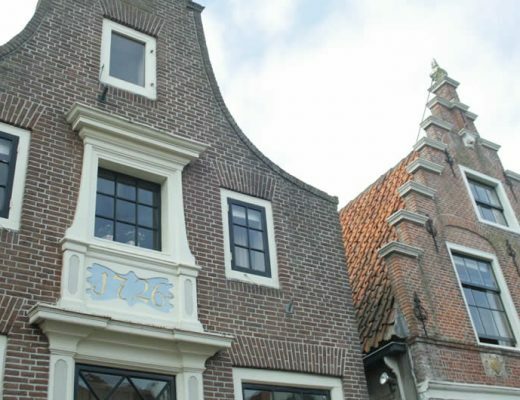 Hop on a train to Hilversum, take bus 104 to Loosdrecht and get off at the stop Prinsens Margrietstraat in Loosdrecht. 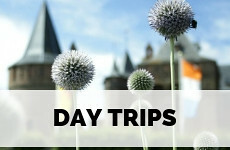 From there, walk to the Hilversum airfield to enter the natural reserve. There’s a small restaurant near the airfield. 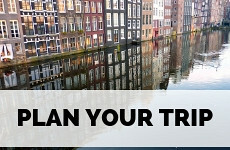 To travel on all public transport in The Netherlands, but an OV chip card, which you can charge as you go. 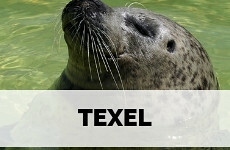 If you have rented a car, simply drive to ‘Vliegveld Hilversum’, the parking is at the park’s entrance. 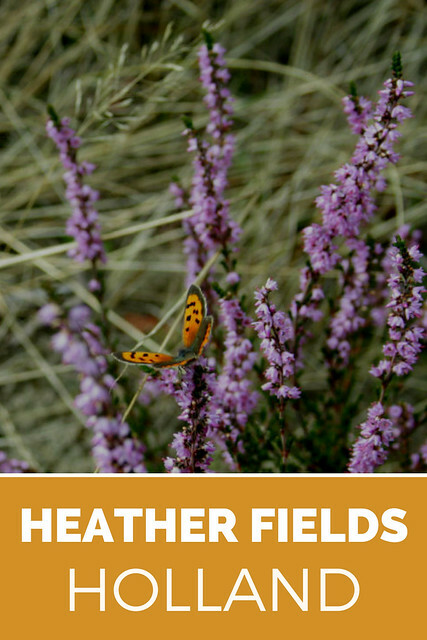 Are there heather fields to swoon at where you live? It’s nice that you can occasionally get out of the city and enjoy the heather fields. Since they prefer sandy soil, they must be acclimated to survive drought. I suppose that’s true, but the summer months also have been unusually hot this years (weeks and weeks of heatwave), so I guess that has something to do with it. Thanks for stopping by! So glad you took a chance and looked for these fields. They are such a lovely color — really shades of colors. So beautiful! I have to admit that when I think of heather the first place that springs to mind is Scotland. I didn’t know that Holland had fields of heather – and so beautiful. Glad you were able to take a break from work and enjoy some nature! Such a shame how hot Europe got this year! So glad we personally spent the entire summer in the US, only to come home to fall come early! It’s sad though that the trees here in Germany have already died or are starting to change so early! I’m afraid we won’t have our “Golden October” this year! 🙁 Would love to see some Heather fields one day though! Hope they’re better next year! How Beautiful! It reminds me of all of the books I read as a girl talking about the moors and heather. I can imagine seeing it person is like nature romance at its best. I didn’t realize there was such a dry summer in Holland, because my relatives in Romania complain they had big floods there. I’ve never seen heather fields in bloom. I don’t believe we have this flower here, in California. It looks quite beautiful. Hi Esther thanks for this beautiful post. 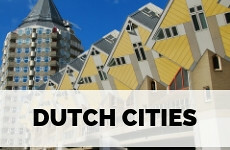 I was planning to do a road trip this weekend to the Netherlands and was wondering if this is a good time too, to see the heather fields or is it too late ?